Obviously very late with this wrap up and for the next few. Regular readers will know this means that they tend to be shorter than usual. I do apologise for this but when procrastination is in the title it’s got to be expected. Right? Right? So with the mea culpa out of the way, let’s get down to business. 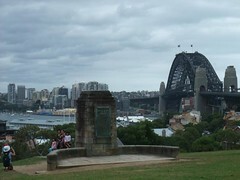 Has Sydney changed much in the past 2 and bit years since I left (over 3 at this writing!)? Not appreciably, no. There are always going to be new shops springing up and closing down but luckily the bustle and energetic vibe of the city remains. This was a nice and welcome contrast to the slightly less active Brisbane. I was surprised by the redevelopment happening in Pitt Street Mall. Formerly one of the most frequented shopping streets and on my visit largely covered in scaffolds. Presumably this will lead to a super shopping experience in the future, nonetheless is was a touch unnerving. 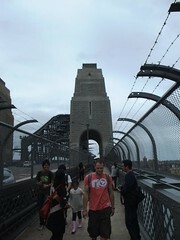 Now onto the things I went and saw (for those wanting more Sydney activities check out the archive). 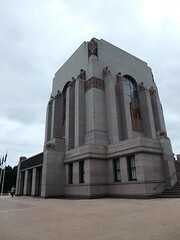 I used to walk past this imposing and towering memorial to Australia and New South Wales’ war dead practically every day on my way to work through Hyde Park and never went in. Even on my last helter skelter day it was still on the cards but never eventuated. So did it live up to the hype? Sort of. For foreign nationals it’ll probably only appeal to the military history buffs amongst you. As for an Australian, I did find it reasonably interesting. There weren’t exactly a lot of exhibits or content but the curators have done a solid job of putting up information that covers the conflicts have been involved in, the lives of soldiers and their families and their current activities. 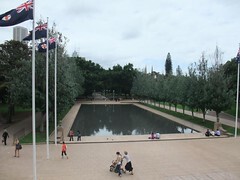 However, this is a memorial, to remember and reflect. The museum elements are simply there to put it into context. 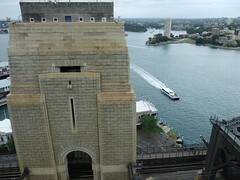 Want to walk up the top of the Sydney Harbour Bridge but don’t have the time or money to do the climb? No problem! The Bridge Pylon centre is here to help. Located on the south side of the bridge the right hand pylon houses a museum covering the construction and maintenance of the bridge as well as a viewing platform. Granted the views won’t be as magnificient as those from the top of the bridge but they’re still very good. This option is really much faster and cheaper than the climb so if either of these are limiting factors, then go for it! 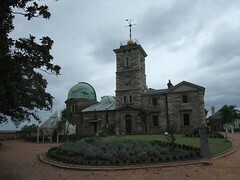 Located near the southern pylons is the Sydney Observatory. 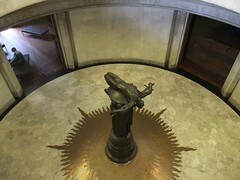 It no longer functions in that capacity, rather it now houses a musuem covering the astronomy and the unique history involved in charting the southern hemisphere’s night sky. 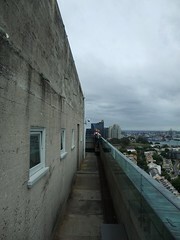 The observatory is set atop a hill (as you’d expect, really) and also offers some great views over the surrounding city. A few years ago I watched the new year fireworks from year – a great spot. 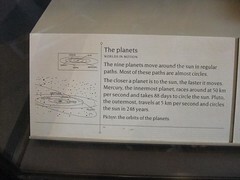 However, one bugbear was that in several places it still referred to Pluto as a planet. If by chance they opposed the resolution stripping it of that status then at the very least they should put up a piece of paper explaining the position. If they don’t oppose it then it’s just laziness to no put up some statement. Afterall won’t someone think of the children (and their education!). …. end of rant. Besides that it was a very pleasant wander. 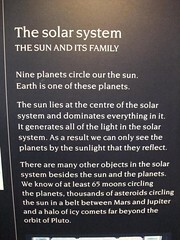 In one instance I helped explain the working of a telescope to a family. OK really it was just verbally explaining the instructions to the English speaker in the group who then translated, but still! Don’t take away my moment. 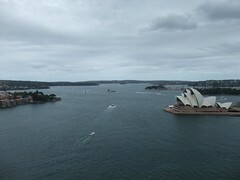 I love visiting Sydney and look forward to coming back again. Will also have to get to Melbourne – people are always raving about you! Lastly, a big thanks and special thanks to Amy’s mum. Sorry it’s taken so long to get move past Brisbane. More photos over at Flickr and Google maps.